A number of Pakistani singers have been opting to sing in English nowadays and it’s great to see them managing to do a decent job. Recently, the Pakistani Super Model Ayyan released her second track making Dollors featTimo from her first album “Nothing like Everything”. There are many actors and models are testing their luck in different areas of music, this time Ali Noor has tried something different for his fans and followers. The singer has joined hands with his Canadian cousin for his upcoming debut song. 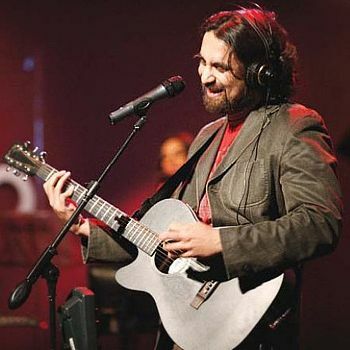 Ali Noor has made many hits in the past with songs like ‘Manwa Re‘, ‘Suno Ke Mein Hoon Jawaan‘ and ‘Meray Log‘, and is nothing short of a legend in Pakistan’s rock music scene. Hs has contributed a lot in Pakistani rock industry and remained the source of inspiration for many young musicians. He is not only featuring the song as a lead vocalist but the music video is also his directorial debut. Zameer Rizvi is well-known for his controversial songs, such as ‘Mind Over Murder’. His song, ‘Win or Defeat‘, which was about social discrimination and injustice against athletes with disabilities, gained worldwide recognition and was licensed as a theme song by the 2010 Paralympic Games. ‘Shut The World Out‘ is a commendable effort by the duo. And is a soft – rock romantic ballad. This kind of genre has not been explored by both the singers. That being said, the lyrics are cheesy and generic. Both cousins’ voices are very unique it will be interesting for the listeners to enjoy both hip and cool voices of these dudes Ali Noor’s music is known to be raw and powerful; the kind of music that gives you Goosebumps.